Tigard Carpet Installation. Fast Service. (503) 388-6070. Fast Professsional Carpet Installation. 72 Hr. Guarantee. Reasonable Rates. Authorized Sales and Installation of Shaw Carpets and Mohawk Carpets. Call (503) 388-6070. 72 Hour Installation Guarantee. Professional Installation of Carpet, Wood Floors, Laminate Flooring, Hardwood Flooring, Vinyl Floors, VCT Tile, Ceramic and Porcelain Tile, Limestone, Slate, Tumbled Stone, Travertine, Glass Tile, and Marmoleum. 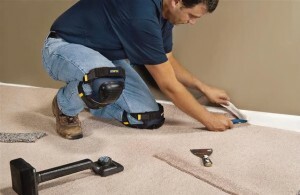 Portland Flooring & Carpet of Tigard is Tigard’s Trusted Flooring Source for Carpet Sales and Carpet Installation and can provide Fast Short Notice Carpet Installation. Do you have a Home you need to get up on the market on short notice? Do you have renters moving out and need to get new carpeting installed so your new renters can move in? We specialize in accommodating these types of situations with Expert Store Guaranteed Installations. Portland Flooring & Carpet of Tigard services the Tigard, Oak Grove, Milwaukie, Gladstone, Clackamas, Canby, Redland, Colton and Molalla communities. Click Here for Information about our standard Installation Warranty. If you’re on a short notice, give us a call at (503) 388-6070. We will have an Estimator our within 24 hours to look at your job and we can guarantee installations within 72 hours of placing your order on all in stock materials.